Cast changes are in store for the upcoming sequel to Wong Jing‘s (王晶) From Vegas to Macau <賭城風雲>. The casino-themed movie starred Chow Yun Fat (周潤發), Nicholas Tse (謝霆鋒), and Chapman To (杜汶澤). From Vegas to Macau ultimately pulled in over $35 million HKD in Hong Kong alone during its Lunar New Year release, successful enough to green-light a sequel. 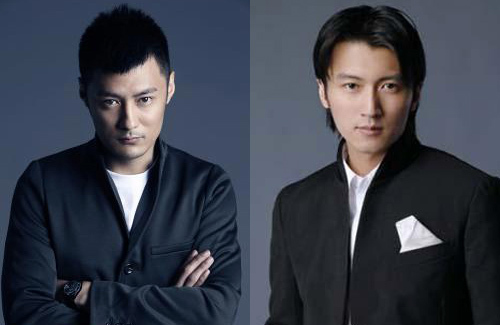 It was recently confirmed by director Wong Jing that Nicholas Tse will not be returning for the sequel. According to media reports, Nicholas demanded 20 million RMB for the film, but Nicholas’ management EEG and the film’s studios failed to negotiate a satisfying contract price. In regards to the rumors that Nicholas was too expensive, Wong Jing said, “No. It has nothing to do with money. It’s just that the schedules couldn’t be coordinated, so we won’t be able to collaborate this time.” Wong Jing added that Shawn Yue (余文樂) may join the cast to play Chow Yun Fat’s new apprentice. In addition to Nicholas, Chapman To will also not be returning. As a result, the story of Nicholas’ family will be written out from the sequel. However, original cast members Kimmy Tong (童菲) and Max Zhang (張晉) will reprise their roles. Nick Cheung (張家輝) and Carina Lau (劉嘉玲) are new additions to the sequel. Nick will be portraying a troubled accountant, while Carina will portray Chow Yun Fat’s love interest. From Vegas to Macau 2 is scheduled to begin principal photography in June. Filming will take place in Hong Kong, Macau, China, and Thailand. Oh gosh…Whatever it is, I just hope there is no mainland Chinese actress in another HK movie! The dubbed dialogue is killing it for me! And I’m sure some mainlanders don’t like seeing so many HK actors/actresses in Chinese films. In those cases, HK stars can usually speak good mandarin, or most china dramas are dubbed anyway even for all their own actors. With mandarin mandarin stars, they rarely are able to speak did Cantonese and need voicing over. I hate that sudden muffled sounding switch over in movies as well. Oh really? The last time I checked, mainlanders pay a LARGE sum of money just to have HK actors/ actresses film for them. Why do you suppose HK artists are so popular? I am just tired of seeing all those similar looking surgically-enhanced Chinese women in HK cinematography. @Marie: you’re so damn right! blame the production for poor dubbing. the article forgot that the film made over 500 million rmb. thats y u see mainland actresses to target mainland audience. hk actresses r not good enuff for films anymore. u need to ask maggie cheung and the oldies to come back. msxie, everyone knows its common for mainlanders to struggle with cantonese. Yet you all watch dub. Also previously stated actors and actresses can speak mandarin more efficiently than mainlanders can do their part for the HK industry. Is very difficult to see a “MADE IN HK ONLY” film anymore. Unless mailander actors\tress are in HK films, otherwise there’s no investment from mainland bosses. Without their investment, there won’t be many movies(hk) at all. HK movies also needs mainland actors because the movie will be shown in China. Not all, but most HK artists are now working in China one way or the other cause that’s where the money is. Look at HK’s music industry.. its been dead for a long time. Everything is in China now.. HK is just an empty shell.